Who doesn’t like to look beautiful? And looking good is not only important for women, but men are also very conscious about their looks these days. There are so many different types of beauty treatments available which take care of every single part of your body from head to toe. Along with making you look and feel good from the outside there are certain beauty treatments that also help you feel good from the inside too. These treatments help in improving your health and so with that your exterior beauty automatically gets better and rejuvenated. Let us see at some of the popular beauty treatments offered at the spa salon. Waxing is the most convenient and affordable treatment available at the spa salon to remove unwanted hair from the body. Hairs growing at certain parts of the body can be a hindrance to the flawless beauty you are trying to have. Even men prefer waxing treatment to remove the hair from their chests and backs to get that model like look. Waxing is preferred over other hair removing treatments like shaving because it removes hairs from the roots so that it takes four to six weeks for them to grow again. If you go for waxing regularly, you hair growth will reduce substantially and the thickness of the hair will also reduce making the waxing process easier and effective with every session. There are so many different styles of facials offered at the spa salon. These facials are designed to address specific skin concerns such as acne breakout or early aging. Regular facials will keep your skin free from all skin related problems such as pimples, wrinkles, puffy eyes, dullness, dryness, uneven texture and pigmentation. 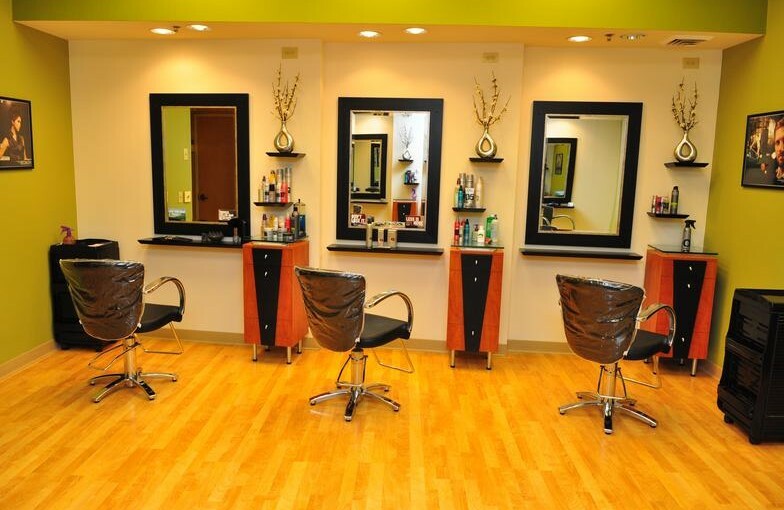 These salons are also well equipped with the latest products and equipments to deliver the desired results. Women can spend hours and hours in front of mirror to try various products and make-up to look beautiful. It is not only the face that they focus on, but they are very conscious about their hands and feet and nails as well. Manicure and pedicure treatments are the answer to their concerns about the beautiful hands and feet. These treatments include massaging and removing of the cuticles before shaping and painting the nails at the end of the treatment. People nowadays lead a very hectic lifestyle and with that stress, anxiety and tension come along. All these factors deliver a negative impact on your skin and beauty. The best way to get rid of these things is a relaxing body massage offered at the spa salons. Massages help the nervous system of the body to function actively, and they also help in relieving the stiff and aching muscles. The calm feeling received through the massage can help you feel mentally fresh and in turn this brings positive results on your face and skin. No one likes to look pale white these days and looking at the negative aspects of sun bathing it is no longer a healthy option to practice. However, you can get that sun kissed look at the spa salon by getting a spray tan. Spray tan is safe and gives you an even bronze shade all over our body. Spending a day at the spa salon is rewarding both physically and mentally. You can relax your mind while your body is being treated and pampered through the treatments offered at the spa salon. The greatest benefit of visiting the spa salon is that it allows you to save a lot of time, and getting these treatments from experienced professionals is altogether an unmatched experience. Adam Bak is the author of this article. He is an experienced writer and has written many articles on spa salons and beauty treatments offered by the salons. If you are looking to have excellent Beauty Treatments Sutherland Shire then search for Recherchieren sie nach mglichen anderen in frage kommenden betreuungspersonen, vielleicht hat ja auch ihre ursprngliche prüfungsamt 1 bachelorarbeit wunschbetreuungsperson einen tipp fr sie.Beauty Salons Sutherland Shire.